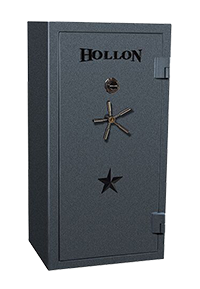 Hollon Safe backs all our fireproof safes with a lifetime warranty against fire. 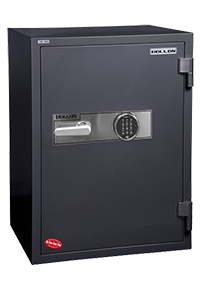 We will gladly replace any Hollon Fireproof Safe that has been damaged in a fire with the same or a comparable model to include all freight costs to the original address of purchase. Customers will be required to supply all requested documents to an authorized Hollon Safe representative prior to replacement. 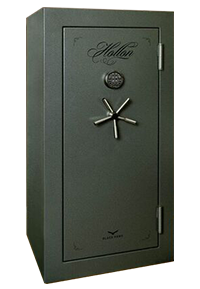 Click Link for Burglary Warranty information for our Gun Safes and/or our TL-15 Safes. 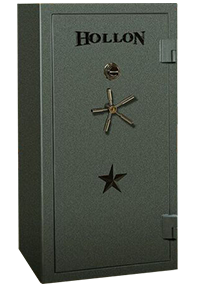 Additional Gun Safe Fire & Burglary Warranty. and Additional TL-15 Fire & Burglary Warranty. Contact Hollon Safe Monday -Friday CST at 1.888.455.2337 for additional information or restrictions. Starting January 2015 Hollon Safe warranties all parts and labor, including all Hollon digital components, on all safes purchased for period of 1 year from date of purchase against manufacture defects. We provide a 2-year warranty on all replacement parts. Extended warranty includes Hollon digital components. Other brand digital components, electronic keypads, will only be warranted for a period of 1 year from date of purchase. Only digital components that are factory installed or installed by a Hollon Safe technician prior to shipment will be covered under this 1 year warranty. 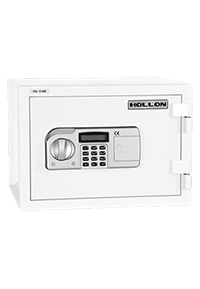 Hollon Safe will not warranty any digital component installed on safes that are installed within a floor. 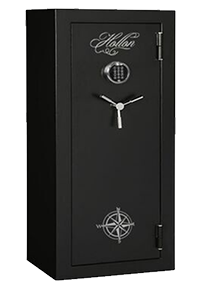 This warranty does not cover any damages caused by mishandling, neglect, water, tampering, improper installation, removal and/or re-installation of the safe. Hollon Safe must be notified within a period of seven days of the receipt of any safe damaged during shipping in order to uphold the warranty and/or damage claims. Warranties on damage claims will only be accepted if the customer has properly executed the outlined Damage and Delivery Policy and Procedures. Re-setting of any combination on a Group II dial lock must be performed by a qualified locksmith otherwise the warranty will become void. All safes are heavy. Never lift a safe by yourself or without proper training, heavy lifting gear or safe moving equipment. Always use a licensed, bonded and trained locksmith company or moving company to move and install your safe. Always bolt your safe to the floor. A safe is not a toy neither is its packaging! Keep children away from the safe and the packaging. Safes are considered airtight. NEVER lock a living being in a safe. 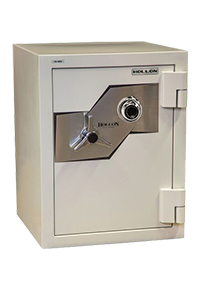 Hollon safe assumes no liability for usage. 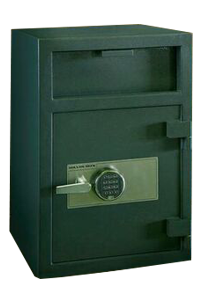 When you buy a safe you are buying time, time against fire, time against theft. Given enough time and proper tools any safe can be broken into. Safe door is heavy. Opening a safe on an uneven or unstable floor (plush carpet) may cause safe to tip forward. Be sure to secure safe prior to use. Failure to follow instructions or to heed this warning may result in serious injury or even death. Warranty Claims WE DO NOT HAVE A 24 HOUR WARRANTY SERVICE DEPARTMENT. ALL CLAIMS MUST BE MADE MONDAY-FRIDAY CST. IF YOU NEED IMMEDIATE ASSISTANCE, HOLLON SAFE MAY NOT BE RESPONSIBLE FOR ANY WARRANTY CLAIMS THAT WERE NOT APPROVED. 1) A warranty Claim Number must be issued by a Hollon Safe Representative before ANY WARRANTY SERVICE IS PERFORMED. Any warranty service performed before a warranty claim is issued and parts have shipped will be subject to denial. Hollon Safe’s Technical Support Department is available Mon-Fri from 8:30am-5:30pm CST. WE DO NOT HAVE A 24 HOUR WARRANTY SERVICE DEPARTMENT. ALL CLAIMS MUST BE MADE MONDAY-FRIDAY CST. IF YOU NEED IMMEDIATE ASSISTANCE, HOLLON SAFE MAY NOT BE RESPONSIBLE FOR ANY WARRANTY CLAIMS THAT WERE NOT APPROVED.